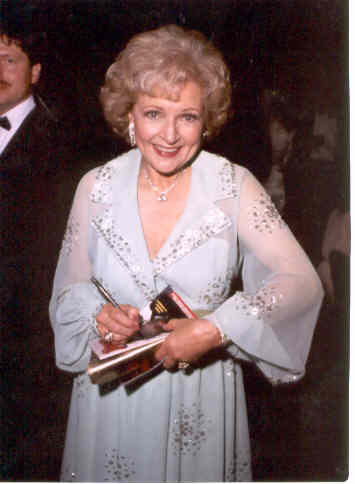 Welcome to America's Sweetheart Betty White! Welcome to America's Sweetheart, Betty White! "Your #1 Betty White Fan Site!" America's Sweetheart, Betty White is in NO WAY affiliated with Ms.Betty White. This is a FAN Site, NOT an official site. This site is copyrighted © by Lauren Adler 2001, and NOTHING may be copied or reproduced in any way without webmasters' written permission. Website Copyright ©2001 Lauren Adler. By no means may anything be copied or reproduced in any way!